Maui is beautiful ~ I fell in love with every corner of the island. 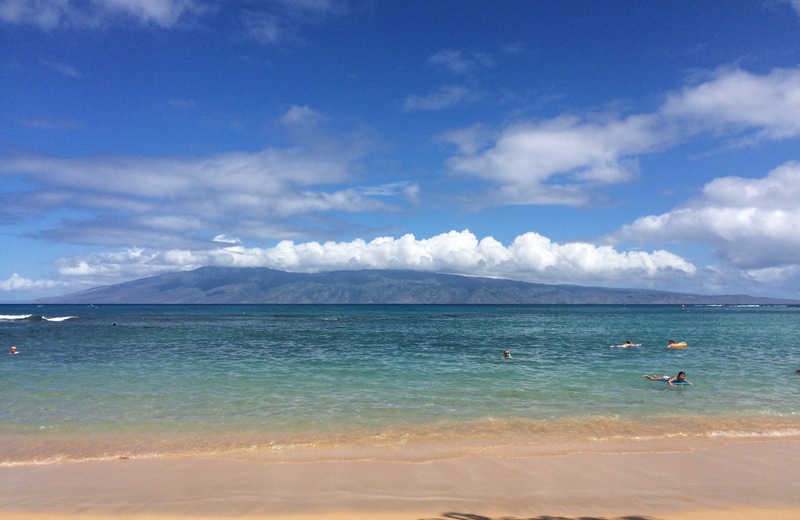 We started the trip in Haiku, descended from the summit of Haleakala, drove the road to Hana, and then relaxed for a few days on Ka’anapali Beach. Every journey should begin with a Japanese poem, linger a while in a bamboo forest, and then end on the shores of the Pacific – it was just so wonderful! A longer post about each place will come next. I am days away from starting the school year and I can’t believe summer is already over. I don’t need summer to continue endlessly. It’s my favorite time of the year because when it begins I feel like I’ve earned it and by the time it ends, I feel renewed enough to teach again. What I do want and need really, is a way to keep and bottle the feeling I have right now. Japan was one of my favorite places because I lived in inaka, the countryside. Maui – the place and the culture – is nothing like Japan but it was the first place to create the same kind of happiness I felt there. Quiet nights punctuated with rain. Rainbows everywhere. Lush rainforest when you want it, sun when you want it. Life bustling everywhere even though everyone moves through life slowly. So I know once school begins, I will begin creating and teaching non-stop until June. I love the intensity of it but this year, my goal is to always make time and room for this aloha I feel.